As ever, colour was key to Jonathan’s range, injecting newness into his paisleys and print patchworks. Kimono jackets, wrap dresses and obi belts defined an oriental silhouette, our favourite incarnation being the bias cut striped dresses that tailed off into sashes. Those obi belts don’t tie themselves you know. Jonathan is a designer at the top of his game and, of course, he meticulously checks every last detail before the show goes on. 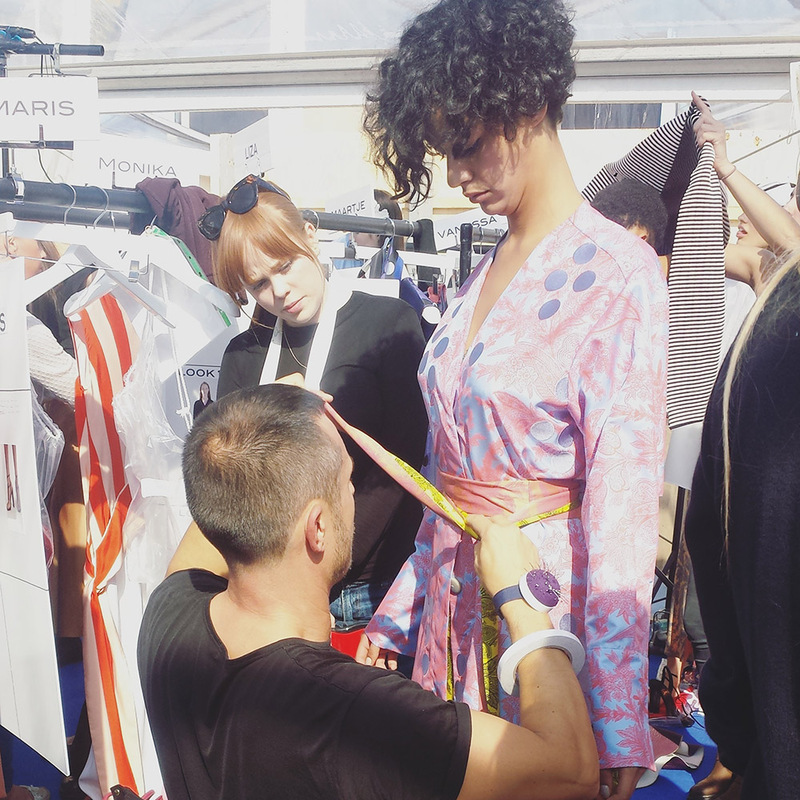 We went backstage before the collection hit the catwalk to get up close and personal with the details. See all the images in the gallery above. 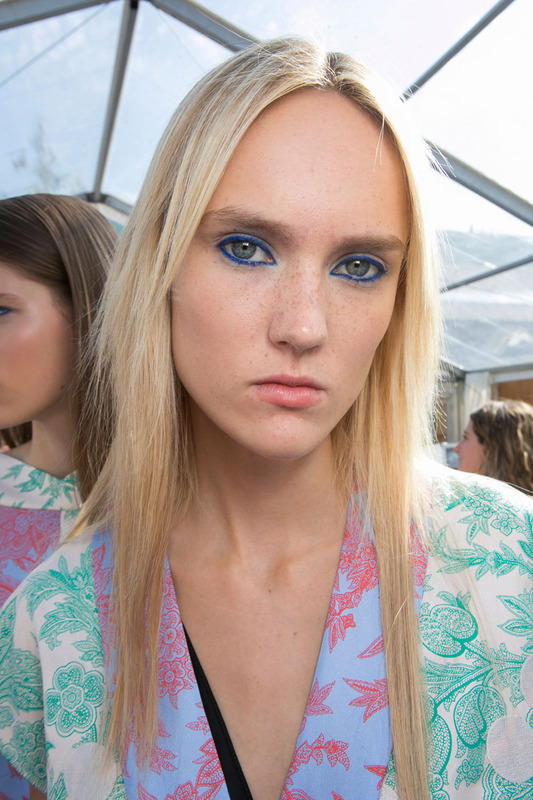 We weren’t sure about the blue eyeliner trend… until we saw it done here. MAC’s Lucia Peroni lined every model’s eyes with a dark electric pigment for a stunning new take on the classic smoke. That’s next holiday’s makeup inspo sorted, then. 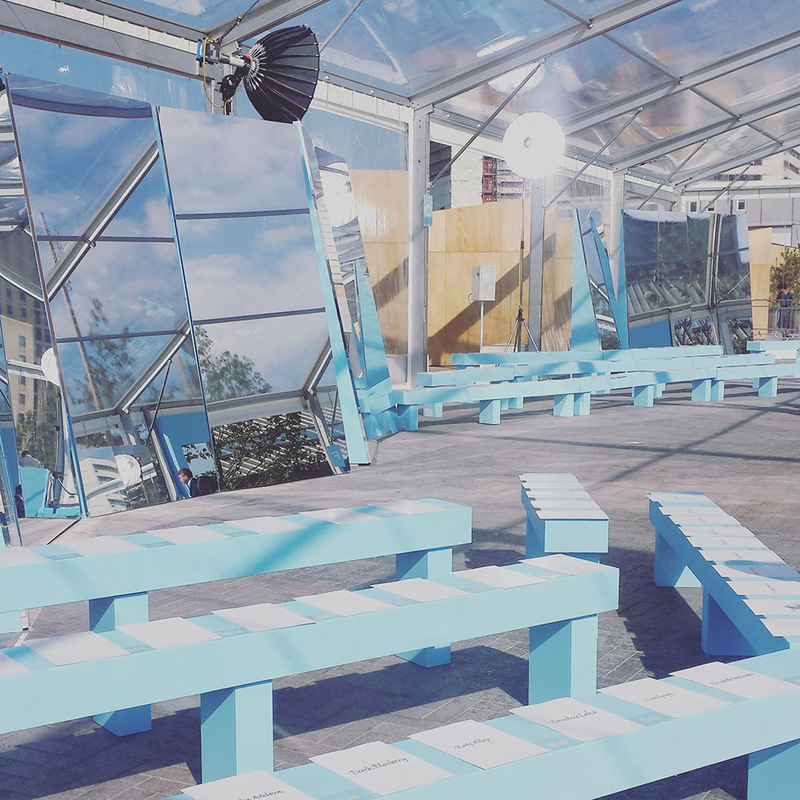 Jonathan set up a greenhouse behind London’s Central Saint Martins college, bringing a hall of mirrors to bounce the Sunday sunshine around the runway. The fash pack were warned to bring their sunglasses, prompting some of the most fabulous street style pictures we’ve seen all week and, much to the designer’s relief, nobody fainted. Hurrah!